I've been eating quinoa longer than most people I know knew how to pronounce it. Now that it's trendy, it's more expensive, but I still enjoy eating and sharing ideas for it. It really is almost the perfect grain for both taste and nutrition. 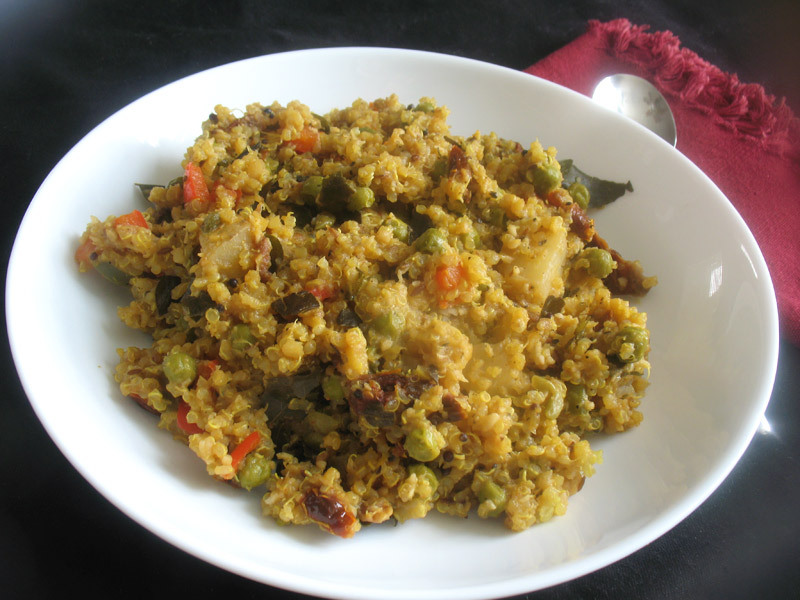 And while quinoa is not a staple of south Indian cooking, that's no reason not to pair its light nutty taste with the hot and tangy tamarind, coconut and spice flavors of the region. I will try almost anything with south Indian ingredients, for that matter! 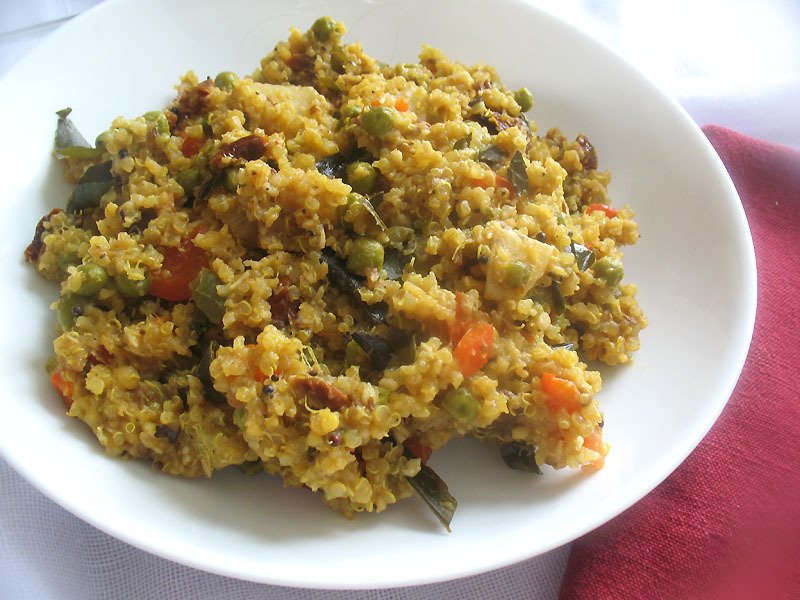 This dish combines quinoa, pumpkin, potato and peas with some of the classic south Indian flavors as well as some not-so-classic ingredients for a rich, hearty, zesty and flavorful side dish that nourishes not only the body but delights the soul. Rinse the quinoa and soak in the water for 8 hours or overnight. Add the salt and turmeric and bring to a boil, then immediately reduce the heat to low, cover, and simmer until the water is absorbed — about 15 minutes. Let stand for 5 minutes and then fluff with a fork. Set aside. Meanwhile, soak the sun-dried tomatoes in hot water for 30 to 40 minutes, then drain and chop and set aside. 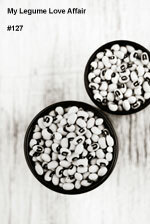 At the same time, soak the tamarind pulp in 1/3 cup hot water for 30 to 40 minutes. Drain, reserving the soaking water and squeezing out as much liquid from the pulp as possible. Set aside. To prepare the spice blend, dry roast the dals, coriander seeds and peppercorns in an unoiled pan over medium heat until they darken a a few shades — about 3 minutes. Let cool and then grind to a powder with a spice blender or in a mortar and pestle. Set aside. Heat the oil in a large skillet or saucepan over medium heat. 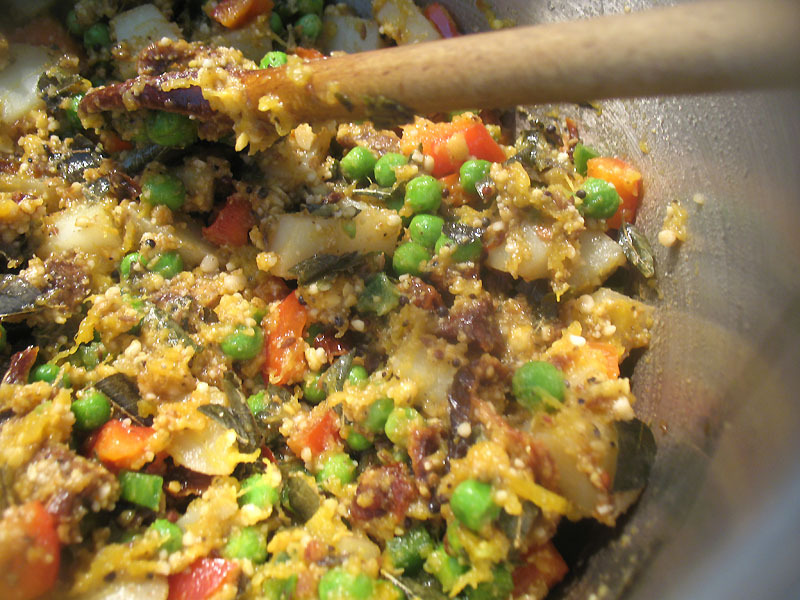 When hot, add the mustard seeds, cumin seeds and curry leaves. Fry, stirring often, until the mustard seeds turn grey and begin to splutter and pop. 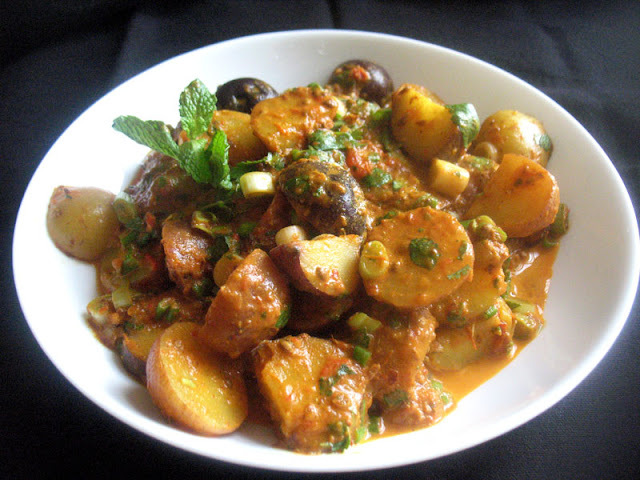 Toss in the asafetida, stir once, and then add the potatoes, stirring well to combine. Cover and cook, stirring often and adding a few tablespoons of water as necessary if the potatoes stick, for roughly 12 minutes or until the potatoes begin to soften. Stir in the sun-dried tomatoes, pumpkin purée, peas, chilies, red pepper, coconut, tamarind liquid, cayenne and spice blend until well combined. Cover and cook, stirring occasionally, adding more water as necessary, until the vegetables are tender — about 10 minutes. Stir in the salt, lemon juice, and quinoa. Reduce the heat to medium-low and cover and heat for another 3 to 4 minutes. Remove from heat, let stand for 5 minutes, fluff, and serve. Garnish with freshly chopped cilantro if desired. Bring on the fusion food! I love South Indian flavors as well...so many of the regions there are vegetarian, so their food is always so tasty!